DALLAS, Texas, September 18, 2017 — The American Heart Association/American Stroke Association (AHA/ASA), the world’s leading voluntary organization dedicated to building healthier lives, free of cardiovascular diseases and stroke, has developed new stroke rehabilitation tools for healthcare professionals and clinical providers, to help stroke patients achieve the best recovery outcomes and quality of life possible. The tools, which are developed through the AHA/ASA’s Together to End Stroke™ initiative, leverage recommendations from the first-ever AHA/ASA issued Adult Stroke Rehabilitation and Recovery Guidelines for healthcare providers, call for intensive, multidisciplinary treatment. Patient guide to making good rehab decisions such as what to expect in medical rehab and how to choose the right rehab facility. Patient quick sheet to rehab planning to ask the right questions at the hospital, before discharge, for rehab providers and questions family members should be asking. Together to End Stroke™, which is nationally sponsored by Kindred Rehabilitation Services, elevates awareness that stroke is largely beatable through high-quality rehabilitation, patient support and implementation of the AHA/ASA’s Stroke Rehabilitation and Recovery Guidelines. “The science of stroke rehabilitation is advancing rapidly, due to the development of new technology, and stroke outcomes are improving as a result,” said Dr. Mitchell Elkind, chair of the American Stroke Association and professor of Neurology and Epidemiology at Columbia University. Stroke is a leading cause of serious disability. There’s increasing evidence that rehabilitation can have a big impact in a survivors’ quality of life. In many cases survivors regain skills and return to independent living. However, many survivors do not receive the appropriate level and amount of rehabilitation services needed to maximize recovery. “Stroke is largely preventable, increasingly treatable, and now, more than ever, beatable. 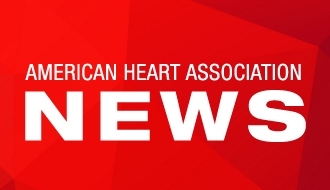 With the AHA/ASA and its alliances putting more strategic efforts in place, all of us can provide better care, which can translate into fewer stroke recurrences and less disability in stroke survivors,” said Elkind. For more information and to access the free rehabilitation and recovery resources for healthcare providers and patients, visit StrokeAssociation.org/recovery. What you do after a stroke affects how well you do after a stroke.